The service provided for my Escalade was excellent. The service technician was very knowledgeable and supportive. Excellent experience. We will always continue to use the service at GSL. My service rep Jennifer is very considerate and thinks about everything I need in advance. As well as shuttle drivers. Good services in general. I am happy. "Great service and dealership "
Buy and service my vehicle regularly at GSL. Always great service and job well done. 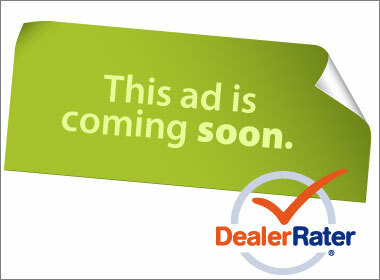 The Dealership is very clean and service staff are friendly and professional. "The service at GSL is great and I am completely satisfy." I am very happy the service provided yesterday on Mar. 7, 2019 for the oil change and tire repair, as well as the shuttle service. Great Service Team. Good communication and service done as requested and completed on time. The price was fair and they offered additional service opportunities to see if I was interested. "Fast and friendly service. " Used Buick App for first time to schedule service and it worked very well. Used Shuttle service, vehicle was serviced and completed earlier than expected. Parts needed to be ordered for another service issue that was not anticipated for this visit so the vehicle will need to go back in about two weeks.Everbody I encountered at the dealership during this visit was very pleasant to deal with. In addition to carrying out the service due, the engine control software was proactively updated. Also advised the need to rotate tires at next service. I had to take my car in because of an oil leak and I was told by Jennifer that it would $150 for diagnostic check. I was charged $180, extra for shop supplies which is BS. I called the manager and he said he would look Into it and call me back. He never called me back. Also they tag an extra $1000 on the estimate they provided. So never going back! Would not recommend. The receptionist was not pleasant to talk to either. The service was excellent and they have very friendly staff. The vehicle was dropped off and was returned as promised the same day. The vehicle was returned clean.